Amazon.com description: Product Description: When forced to choose between staying with her guardian and being with her big brother, Ari chose her big brother. ThereÃ¢ÂÂs just one problemÃ¢ÂÂGage doesnÃ¢ÂÂt actually have a place to live. When AriÃ¢ÂÂs mother died four years ago, she had two final wishes: that Ari and her older brother, Gage, would stay together always, and that Ari would go to Carter, the middle school for gifted students. So when nineteen-year-old Gage decides he can no longer live with their bossy guardian, Janna, Ari knows she has to go with him. But itÃ¢ÂÂs been two months, and Gage still hasnÃ¢ÂÂt found them an apartment. He and Ari have been "couch surfing," staying with GageÃ¢ÂÂs friend in a tiny apartment, crashing with GageÃ¢ÂÂs girlfriend and two roommates, and if necessary, sneaking into a juvenile shelter to escape the cold Maine nights. But all of this jumping around makes it hard for Ari to keep up with her schoolwork, never mind her friendships, and getting into Carter starts to seem impossible. Will Ari be forced to break one of her promises to Mama? 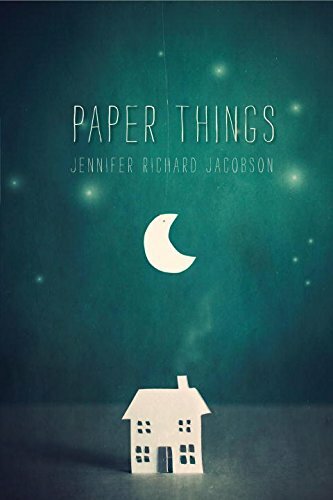 Told in an open, authentic voice, this nuanced story of hiding in plain sight may have readers thinking about homelessness in a whole new way. With Stephanie James | from Harlequin Books (August 1, 1999); titled "Devil to Pay"
About: This collector's edition of an out-of-print romance is by one of the genre's most popular authors--Jayne Ann Krentz, writing as Stephanie James. About: When forced to choose between staying with her guardian and being with her big brother, Ari chose her big brother.